When one of my husband’s colleagues heard that our son’s name is Daniel, she told us that we just had to read the Danny books, written by a friend of hers who is a former reading recovery teacher. We filed the information away to look into, but before long, a package we weren’t expecting appeared for us, filled with Danny books. 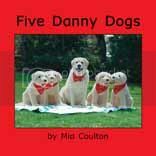 The Danny books are comprised of engaging photographs of the dog, Danny, along with simple text with lots of space between words and sentences, to make it easy to read for younger children. Although for early readers, these are not phonics-based books. Instead they use high frequency words and, in some of the books, repetitive language to tell Danny’s story. Unlike many of the early reader books, though, from what I have read the Danny books actually have value for reading to your child beyond just recognition of sight words or phonics-building patterns. 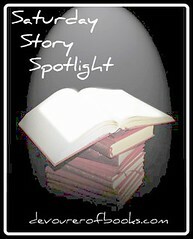 The stories, when set besides the photographs of Danny, are engaging and entertaining. Daniel can easily sit for three or more in a row and they have a tendency to make him laugh. Even though he’s too young to be trying to actually figure out the words himself, he also likes to just sit and look at the books for their photographs of dogs and make up his own stories. So far his favorite two stories are Five Danny Dogs and Danny’s Hair is Everywhere. The Danny books can be bought either in sets with varying degrees of difficulty within the set, or by reading level. Oh, great concept! I love the idea f the high frequency words but obviously the added substance is a super plus. Tres cool! Well at least Daniel can grow with these books!! Sounds like they will appeal to quite a few kid levels.